In vitro post-death children recognized by law. A new law, effective November 21, 2014, provides that a “genetic child” (“GC”) born after the death of its biological parent is to be treated the same as those children born before death. The GC must be in-utero no later than 24 months after the parent’s death and must be born no later than 33 months after the parent’s death (9 months gestation). The law also allows a biological parent to appoint a person (and an alternate) to authorize, by express consent, the use of the genetic material (“GM”), sperm and ova, for posthumous conception as long as the written consent is witnessed by two persons, neither of whom can be the authorized person. The authorization must have been executed no longer than 7 years before the death of the genetic parent. Notice must be served on the executor or other fiduciary within seven months of the issuance of letters testamentary or of administration that the GM was available and provides for the filing of the notice in the Surrogate’s Court. These provisions put the fiduciary, and the world, on notice that there may be additional children entitled to share in an estate. 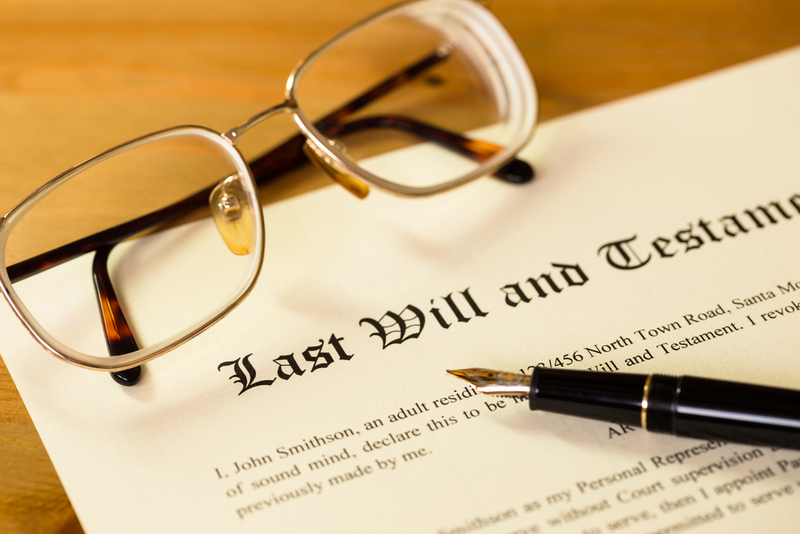 The notice cannot be revoked by a Will but can be revoked by the genetic parent in a similar written declaration. The form of the notice and revocation is provided in the statute and any authority granted to a spouse would automatically be revoked in the case of divorce. This entry into the brave new world of genetics will have the wonderful effect of allowing those who pass away before they can have children (a victim of testicular or ovarian cancer, for example) to have a family, possibly to the great comfort and solace of the widow/er. A service member who dies in the service of his/her country would have a legitimate heir under no disability when compared to his/her siblings. We will have to wait and see how the application of the law unfolds, but one obvious result will be a delay in distribution of assets to children for at least 33 months after the death of the parent. One can envision litigation among surviving children of an elder wealthy parent over the adequacy of notice or the date of conception or as to the fact of genetic legitimacy. If you would like more information, please leave a comment or email us at hafnerlaw@verizon.net. This entry was posted in Wills, Trusts and Estate Planning. Bookmark the permalink. Mother Loved Me Best! - It's all about the money. No Will - There IS a Way!